If you presume that when eating a Fertility Diet chocolate needs to be avoided, I’m here to tell you that’s not true. In fact, it may be good to eat a little cacao when trying to conceive! Yes, consider adding a bit of pure chocolate to your diet here and there! Let me be clear though. I’m not suggesting eating any old chocolate bar from the grocery store checkout aisle. The chocolate to consume is raw, unprocessed cacao (Theobroma cacao) from cacao beans (from which cocoa is made). There is a big difference! Cocoa: is the resultant product from roasting cacao at high temperatures. This process destroys the antioxidants and the number of phytonutrients naturally present in cacao, rendering it nearly nutrient void. Many top-quality brands of cocoa powder that are pure and organic, and only list cacao on the ingredients list, are in fact roasted. Commercial chocolate makers mix cocoa with cocoa butter and other vegetable oils to reduce the price of the chocolate bars and increase their size. If cocoa is the only option in your local store, make sure the label says “RAW”, or cold-pressed and cacao on the package. If it doesn’t, then pass on it and seek cacao powder elsewhere or online. Cacao is the cold-pressed, unroasted seeds of the cacao plant. Cacao is available to us as powder or nibs; it undergoes minimal processing so as to preserve all of its naturally occurring antioxidants and other beneficial phytonutrients. 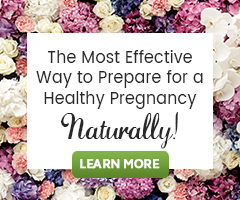 Why cacao is so good for your fertility! Cacao contains phenylethylamine, responsible for helping humans feel pleasure and the “warm fuzzies” when falling in love, and it boosts the body’s natural production of serotonin and dopamine; both help stimulate a good mood. Cacao beans contain iron, zinc, calcium, manganese, and potassium. Minerals are important for fertility because these help maintain hormonal balance and the acid-alkaline balance. When preparing for conception and trying to conceive, minerals are necessary for egg and sperm health (e.g. iron and zinc), healthy ovulation and endometrial lining thickness, red blood cell creation (e.g. iron), maintaining the mother’s bone health, and for the fetus’s growth and development (e.g. calcium is necessary for a fetus to grow its own bones) It also contains one of the best dietary sources of magnesium. A nutrient necessary for a healthy stress response and relaxation, magnesium provides many fertility health benefits. In fact, cacao ranks among the top 20 food sources of antioxidants. Note: darker (higher the cacao content) = more antioxidants. Cacao is said to protect the nervous system due to the high level of resveratrol it contains. Resveratrol is a potent antioxidant that has the ability to cross the blood-brain barrier to help protect nerve cells from damage. Cacao combines very well with fertility-friendly foods like fat-rich coconut cream and avocado. For an added fertility boost, I also like to combine cacao with the superfood Maca. Avocado: a healthy fat, rich in many B vitamins (except B12) and a good source of folic acid, vitamins C, E and A, as well as potassium, magnesium, iron and manganese. Coconut: (milk, cream, oil, and flakes) contains healthy fats, medium-chain fatty acids (that are easily metabolized by the body), trace essential fatty acids, fiber, some protein, carbohydrates, B vitamins, vitamins C and E, and potassium, magnesium, iron, copper and manganese. Maca (Lepidium meyenii) supports and nourishes the endocrine and immune systems of the body; it also helps the body to maintain a healthy response to stress. It contains many different micronutrients and is considered foundational for boosting sperm and egg health, energy, and libido. Three easy and decadent cacao recipes – Enjoy! To Make: Pulse everything together in a food processor or blender until smooth and top with a few chopped nuts or shredded coconut (I used raw, organic pecans because they are a special treat). To Make: Blend the mousse and coconut milk in a blender until combined and then gently pulse in the FertiliWhey Protein Powder (this prevents the smoothie from becoming too airy and fluffy). This may also be tasty with frozen berries or cherries blended in. I encourage you to experiment! To Make: Combine all in a bowl and enjoy! If someone suggested I give up one of the few indulgences I allow myself, chocolate, I might not ask for their advice ever again. Tee hee! It’s one of my favorite things! Transitioning myself to raw cacao and finding recipes that allow me to indulge occasionally have made doing so not feel like such a guilty pleasure. I now know it’s healthy! Raw cacao is a mild stimulant (contains theobromine and minimal amounts of caffeine) which can help improve mental alertness, so it is best to not consume in excess after midday (2-3pm). Everything in moderation! While it would be very hard to consume enough raw cacao to cause “chocolate poisoning”, raw cacao contains theobromine that is known to have adverse effects on the central nervous, cardiovascular, and respiratory systems, and is a diuretic in very high quantities (not anywhere near the amount that is used in these recipes). Haas, E., & Levin, B. (2006). Foods. In Staying Healthy with Nutrition; The Complete Guide To Diet and Nutritional Medicine (21st-Century Edition ed.). Berkeley, CA: Celestial Arts.